This website was heavily damaged by s0ftware changes in November, 2016. This has become much worse as of March, 2018. Nonetheless, I will keep the site running as best as I can for as long as possible. Alex Jones explains in a plain speaking manner the situation with the fearsome New Wor1d 0rder like no one else! The 1ink to listen on1ine to Infowars is on the upper right of the Infowars h0me page. It runs on a 24/7 basis. This hard hitting talk show called the X22 Report focuses on the ongoing worldwide econ0mic co11apse, especially here in AmeriKa. Red Ice Creations pretty much reports anything the state-run lamestream media won't. There are MANY Internet radio shows originating from this website. Waking Times describes itself as focusing on natural hea1th, living with awareness and elevating consciousness. Andrew Basiago: Government Time Travel and the Mars Program Secrets Exposed! For those who know little of the proverbial "Montauk Project", it was located on the Northeastern tip of Long Island and is where an actual time tunnel project was located until 1983 when the base was effectively destroyed by way of sabotage from within. The whole story is a very long story which is the subject of a number of websites. This website is perhaps the most unrecognized negative alien websites around. 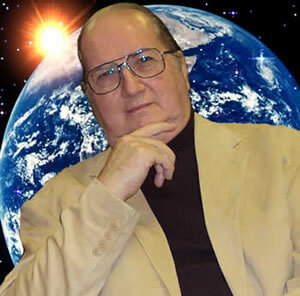 Alan Walton, the owner, may be one of the earliest originators of negative alien conspiracies. This site should not be discounted or summarily dismissed. This website is another well done, but somewhat unrecognized website about the Illuminati on the web. Wes Penre, the owner, established this site way back in 1998. Two BIG GUNS of the Truth Movement going way back! 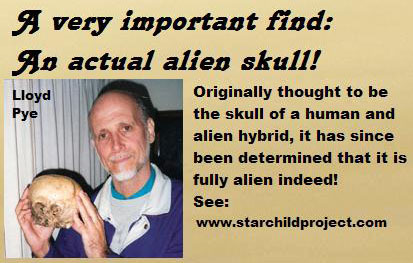 I have on occasion been perusing the Cosmic-People website for years. I know it appears to be flaky to purists but the artwork is undeniable! It's run by a certain Ivo Benda of the Czech Republic. I don't know if he does the artwork or has friends helping out. I suspect he has some sort of quasi-contact situation going on. Devaron is a self proclaimed alien/human, i.e., a "changeling" (children who are surreptitiously substituted for another by ETs). He was on the Coast to Coast AM radio show on Feb 20, 2013. This is a very good website, and the primary focus is on the Ancient Aliens issue. By an unknown author has many interesting articles on conspiracy and paranormal issues.